Pictured is actor Jack Elvey. 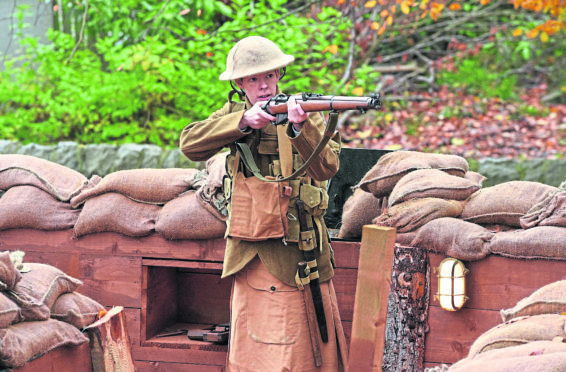 He carried out a three minute performance in the Gordon Highlanders Museums replica trench to commemorate the WW1 centenary. Picture by Darrell Benns. It’s a busy day in the midst of the first snow of winter arriving in Aberdeen and the hot coffees and bowls of soup are being distributed as quickly as possible at the Gordon Highlanders Museum in the city. There is a notable spring in the step of the volunteers who bustle in and out of the arena while dealing with the throng of customers. And yet, it isn’t surprising, given that the facility is the city’s only five-star visitor attraction and takes its exalted reputation very seriously. 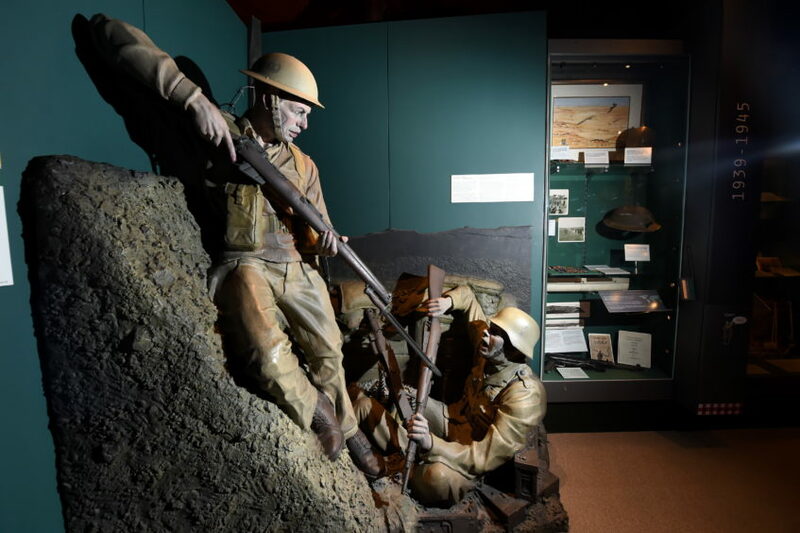 The museum has a formidable pedigree, but it only runs like Usain Bolt in his prime because of the efforts of more than 170 volunteers, men and women of all ages from every conceivable background. Behind the scenes at the Gordon Highlanders Museum. Some of them have committed to one or two days a week, others to a few hours or an occasional Saturday, but it was obvious during the Press and Journal’s visit that this volunteer army is pulling together with cheery resolve. Wherever you cast your gaze, it was evident this is a place with a plethora of helpers. And they are all gearing up for the launch of a new trench project next week. Work began on the initiative last summer, but the plan to create a reconstruction of how so many soldiers lived throughout the First World War was only completed in time for the centenary of the end of the hostilities in November. It is an evocative project, not least because the museum has liaised with schools across the north-east and received some moving poems, stories and artworks in response. After spending time behind the scenes at the facility, what emerged was a collective determination among all those at the site in Viewfield Road to maintain the high standards they have set themselves. Marcus Hartland-Mahon is 68, but he’s a sprightly individual with a keen-as-mustard attitude to greeting guests. As somebody who did National Service with the South African navy, prior to attending Sandhurst and serving with 15 Parachute Regiment, this is a fellow who loves military history and carrying out his responsibilities at the venue. He has only been with the museum for six months as a guide, but his words explain why the amenity is held in such affection. Volunteer Laura Willox.<br />Picture by Kenny Elrick. Marcus said: “I have been in Aberdeen for 30 years, but I have been very impressed with the museum from the first minute I walked through the door and I know that feeling is shared by so many of the volunteers. “You meet all kinds of people and you soon come to appreciate how many different stories there are and how the museum offers a unique atmosphere. “You can see it in the faces of the visitors. They come here because they want to learn about military history. I am very interested in everything to do with that, but I know that it’s not just about soldiers or armies. “I have already met people from all over the world and that includes Australia, New Zealand, Canada and all different parts of Europe, including Germany and Russia. “We had a couple who came through the door from Venezuela yesterday. And it is a privilege to be part of this. “Sometimes, people will arrive with a battered old picture or a medal in a bag, which they want to discover more about. And, hopefully, between us all, we can fill them in on their ancestors’ history. 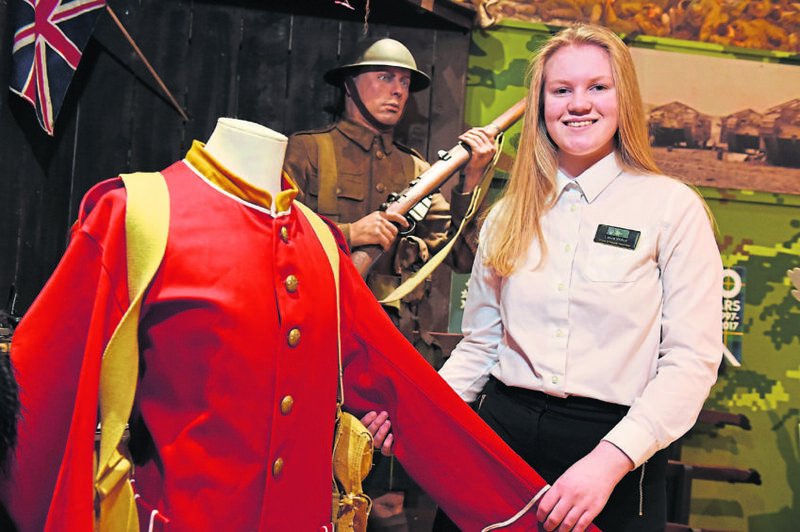 The volunteers are an essential part of the museum’s existence, a redoubtable group whom its chief executive Bryan Snelling said he couldn’t praise highly enough. It was only two years ago that he revealed the facility was in danger of closing its doors, following a sharp decline in corporate backing after the oil and gas downturn in the region. But Bryan has been invigorated by the fashion in which the north-east responded to a £300,000 fundraising campaign which was backed by a five-figure donation from the P&J. The appeal has also been boosted by significant donations from other groups and individuals, to the extent that Bryan and his colleagues are now preparing for a bright, long-term future. 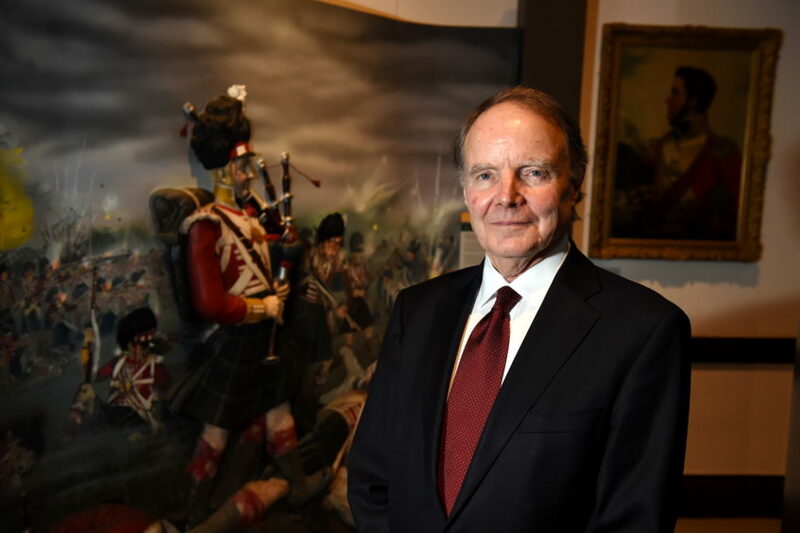 He said: “You never take anything for granted when you are in charge of a place such as this, but it has been wonderful to see how much the museum means to people all across the north of Scotland – and, to be perfectly honest, just about everywhere else around the globe. “We never forget how much sacrifice there was among those who were part of the Gordon Highlanders and all the other Scottish regiments. “The casualty figures from the First World War were appalling, but we owe it to that generation to continue telling their stories. “We could not run this facility without all the volunteers. That is just a statement of fact. Some of them do a few hours a week in the tea room or act as guides, or volunteer front of house, or carry out research, or education. “We have an induction programme and a mentor support system for anybody who is keen to lend a hand. “It’s a busy place – there is always something else that needs doing. “People come to us with stories about their families, or they have artefacts from various wars which they want us to check out. “The work never ends, but it is satisfying when you can tell a family what their ancestors did. “Every single one of the volunteers is important to us and the more who join us, the better. Sometimes, museums have a fusty image and are regarded by youngsters as places run by dinosaurs for dinosaurs. Perhaps it isn’t surprising the horror of battles which were fought more than a century ago doesn’t always capture the imagination of a generation which has been brought up on such gizmos as iPads, Xboxes and computer games. But Laura Willox, who volunteers at the museum, doesn’t view matters in that light and speaks passionately about how she has benefited from joining the ranks. The 15-year-old student at Robert Gordon’s College declared it had been one of the best decisions she had ever taken when she started her duties, front of house. She said: “I get to meet the public and deal in customer relations and I have been involved in a couple of stock takes, and although I started doing this as part of my Duke of Edinburgh’s Award scheme, it has developed beyond that. “I really do think this place is special and there is an excellent bond between the volunteers. “I love listening to different people’s stories and we know that we are pulling together in a common cause. “I volunteer four hours on a Saturday and I am in here on my school holidays, so it sometimes feels as if this is my second home. “But that’s great. I am more confident since I started here, I interact better with people who are older than me, we can all have a laugh together, and we know it is a big team effort. There’s a general sense of esprit des corps among the troops. And the prospect of the trench attracting more visitors in the future doesn’t seem to faze anybody at the centre. Anne Clark has been volunteering at the centre for the last five years and has undertaken a variety of roles. The former oil and gas worker is happy to lend her talents wherever they are required. She said: “I came along to an open day and spoke to the curator and I just thought I could make a positive difference at the museum. I started out in the tea room, then I began maintaining the database of the collection. That was very interesting, and so I moved on to working with the research team. The museum staff and volunteers were shocked when they were told there were financial problems from the oil and gas downturn two or three years ago. 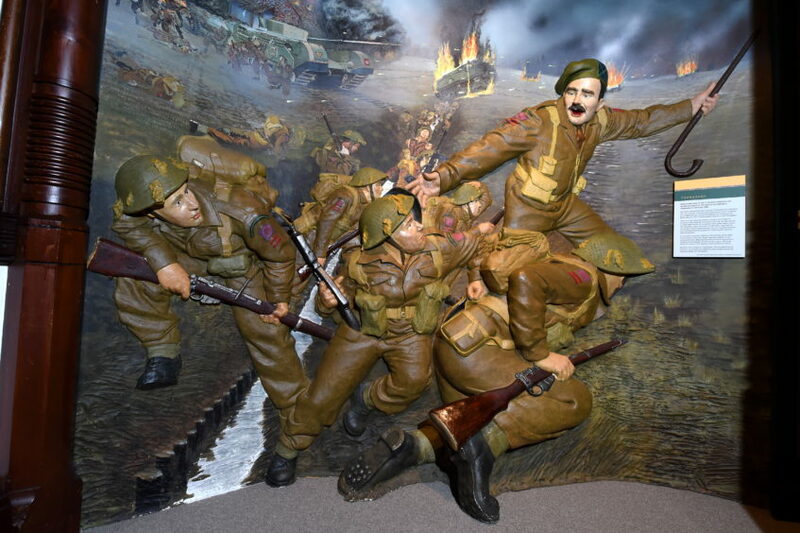 But they have rolled up their sleeves and guaranteed the Gordon Highlanders Museum has turned a corner. As Marcus concluded: “This place is very important. 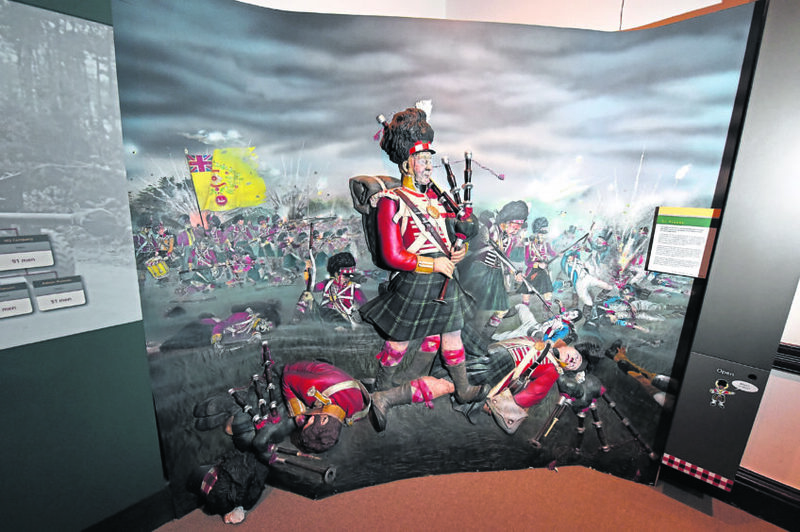 “The Gordons are one of the most famous regiments in history. Winston Churchill praised them to the skies. “And until the mid-1990s, their soldiers had been awarded more Victoria Crosses than any other regiment. That is a proud legacy.